Information resources to support questions and discussion from resident report/morning report. 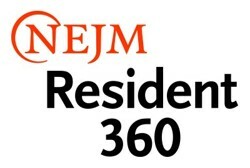 Instructions: Access NEJM Resident 360 via Himmelfarb Library to create a free personal account. After creating your account, you may access via the library or by direct access to NEJM Resident 360. Kravets I. Hyperthyroidism: Diagnosis and Treatment. Am Fam Physician. 2016 Mar 1;93(5):363-70. Review. PubMed PMID: 26926973. Smith TJ, Hegedüs L. Graves' Disease. N Engl J Med. 2016 Oct 20;375(16):1552-1565. Review. PubMed PMID: 27797318. Chiha M, Samarasinghe S, Kabaker AS. Thyroid storm: an updated review. J Intensive Care Med. 2015 Mar;30(3):131-40. doi: 10.1177/0885066613498053. Epub 2013 Aug 5. Review. PubMed PMID: 23920160. Gaddey HL, Riegel AM. Unexplained Lymphadenopathy: Evaluation and Differential Diagnosis. Am Fam Physician. 2016 Dec 1;94(11):896-903. Review. PubMed PMID: 27929264. Juckett G, Trivedi R. Evaluation of chronic diarrhea. Am Fam Physician. 2011 Nov 15;84(10):1119-26. Review. PubMed PMID: 22085666. Gajendran M, Loganathan P, Catinella AP, Hashash JG. A comprehensive review and update on Crohn's disease. Dis Mon. 2018 Feb;64(2):20-57. doi: 10.1016/j.disamonth.2017.07.001. Epub 2017 Aug 18. Review. PubMed PMID: 28826742. El-Abassi R, Soliman MY, Williams F, England JD. Whipple's disease. J Neurol Sci. 2017 Jun 15;377:197-206. doi: 10.1016/j.jns.2017.01.048. Epub 2017 Feb 16. Review. PubMed PMID: 28477696. Grygiel-Górniak B, Limphaibool N, Perkowska K, Puszczewicz M. Clinical manifestations of granulomatosis with polyangiitis: key considerations and major features. Postgrad Med. 2018 Sep;130(7):581-596. doi: 10.1080/00325481.2018.1503920. Epub 2018 Aug 2. Review. PubMed PMID: 30071173. Leung N, Nasr SH. Myeloma-related kidney disease. Adv Chronic Kidney Dis. 2014 Jan;21(1):36-47. doi: 10.1053/j.ackd.2013.08.009. Review. PubMed PMID: 24359985. Heher EC, Rennke HG, Laubach JP, Richardson PG. Kidney disease and multiple myeloma. Clin J Am Soc Nephrol. 2013 Nov;8(11):2007-17. doi: 10.2215/CJN.12231212. Epub 2013 Jul 18. Review. PubMed PMID: 23868898; PubMed Central PMCID: PMC3817918. Donner HJ. Is There a Doctor Onboard? Medical Emergencies at 40,000 Feet. Med Clin North Am. 2017 May;35(2):443-463. doi: 10.1016/j.emc.2017.01.005. Review. PubMed PMID: 28411936. Nable JV, Tupe CL, Gehle BD, Brady WJ. In-Flight Medical Emergencies during Commercial Travel. N Engl J Med. 2015 Sep 3;373(10):939-45. doi: 10.1056/NEJMra1409213. Review. PubMed PMID: 26332548. Hadda V, Khilnani GC. Lipoid pneumonia: an overview. Expert Rev Respir Med. 2010 Dec;4(6):799-807. doi: 10.1586/ers.10.74. Review. PubMed PMID: 21128754. Vassallo R, Ryu JH. Smoking-related interstitial lung diseases. Clin Chest Med. 2012 Mar;33(1):165-78. doi: 10.1016/j.ccm.2011.11.004. Epub 2011 Dec 15. Review. PubMed PMID: 22365253. D'Silva K, Brown S, Hunninghake GM, Vivero M, Loscalzo J. Gasping for a Diagnosis. N Engl J Med. 2019 Mar 7;380(10):961-967. doi: 10.1056/NEJMcps1809942. PubMed PMID: 30855747. Kumar A, Abdelmalak B, Inoue Y, Culver DA. Pulmonary alveolar proteinosis in adults: pathophysiology and clinical approach. Lancet Respir Med. 2018 Jul;6(7):554-565. doi: 10.1016/S2213-2600(18)30043-2. Epub 2018 Feb 1. Review. PubMed PMID: 29397349. Ul Rehman S, Hammersley JR. Pulmonary Alveolar Proteinosis: Crazy Paving to Whole Lung Lavage. Mayo Clin Proc. 2016 Nov;91(11):1673-1674. doi: 10.1016/j.mayocp.2016.07.011. PubMed PMID: 27814844. Lincoff AM. Managing acute coronary syndromes: decades of progress. Cleve Clin J Med. 2014 Apr;81(4):233-42. doi: 10.3949/ccjm.81gr.13002. Review. PubMed PMID: 24692442. Crea F, Libby P. Acute Coronary Syndromes: The Way Forward From Mechanisms to Precision Treatment. Circulation. 2017 Sep 19;136(12):1155-1166. doi: 10.1161/CIRCULATIONAHA.117.029870. Review. PubMed PMID: 28923905; PubMed Central PMCID: PMC5679086. Eibling D. Balance Disorders in Older Adults. Clin Geriatr Med. 2018 May;34(2):175-181. doi: 10.1016/j.cger.2018.01.002. Epub 2018 Feb 24. Review. PubMed PMID: 29661330. Ashizawa T, Xia G. Ataxia. Continuum (Minneap Minn). 2016 Aug;22(4 Movement Disorders):1208-26. doi: 10.1212/CON.0000000000000362. Review. PubMed PMID: 27495205; PubMed Central PMCID: PMC5567218. Kappler S, Ronan-Bentle S, Graham A. Thrombotic Microangiopathies (TTP, HUS, HELLP). Hematol Oncol Clin North Am. 2017 Dec;31(6):1081-1103. doi: 10.1016/j.hoc.2017.08.010. Review. PubMed PMID: 29078925. Stabler SP. Clinical practice. Vitamin B12 deficiency. N Engl J Med. 2013 Jan 10;368(2):149-60. doi: 10.1056/NEJMcp1113996. Review. PubMed PMID: 23301732. Miller E, McCaw B. Intimate Partner Violence. N Engl J Med. 2019 Feb 28;380(9):850-857. doi: 10.1056/NEJMra1807166. Review. PubMed PMID: 30811911. 10.1097/01.mbc.0000469521.23628.2d. Review. PubMed PMID: 26126029. Johari V, Loke C. Brief overview of the coagulation cascade. Dis Mon. 2012 Aug;58(8):421-3. doi: 10.1016/j.disamonth.2012.04.004. Review. PubMed PMID: 22818555. Barg AA, Livnat T, Kenet G. An extra X does not prevent acquired hemophilia - Pregnancy-associated acquired hemophilia A. Thromb Res. 2017 Mar;151 Suppl 1:S82-S85. doi: 10.1016/S0049-3848(17)30074-9. Review. PubMed PMID: 28262242. Castillo-Martínez L, Castro-Eguiluz D, Copca-Mendoza ET, Pérez-Camargo DA, Reyes-Torres CA, Ávila EA, López-Córdova G, Fuentes-Hernández MR, Cetina-Pérez L, Milke-García MDP. Nutritional Assessment Tools for the Identification of Malnutrition and Nutritional Risk Associated with Cancer Treatment. Rev Invest Clin. 2018;70(3):121-125. doi: 10.24875/RIC.18002524. Review. PubMed PMID: 29943772. Kirkland LL, Shaughnessy E. Recognition and Prevention of Nosocomial Malnutrition: A Review and A Call to Action! Am J Med. 2017 Dec;130(12):1345-1350. doi: 10.1016/j.amjmed.2017.07.034. Epub 2017 Aug 31. Review. PubMed PMID: 28843651. Casaer MP, Van den Berghe G. Nutrition in the acute phase of critical illness. N Engl J Med. 2014 Mar 27;370(13):1227-36. doi: 10.1056/NEJMra1304623. Review. PubMed PMID: 24670169. Ebell MH. Evaluation of chest pain in primary care patients. Am Fam Physician. 2011 Mar 1;83(5):603-5. Review. PubMed PMID: 21391528.
functional disease. Postgrad Med. 2013 Jul;125(4):169-80. doi: 10.3810/pgm.2013.07.2688. Review. PubMed PMID: 23933904. Nehra AK, Alexander JA, Loftus CG, Nehra V. Proton Pump Inhibitors: Review of Emerging Concerns. Mayo Clin Proc. 2018 Feb;93(2):240-246. doi: 10.1016/j.mayocp.2017.10.022. Review. PubMed PMID: 29406201. Jansson-Knodell CL, Codipilly DC, Leggett CL. Making Dysphagia Easier to Swallow: A Review for the Practicing Clinician. Mayo Clin Proc. 2017 Jun;92(6):965-972. doi: 10.1016/j.mayocp.2017.03.021. Review. PubMed PMID: 28578784. Novacek G. Plummer-Vinson syndrome. Orphanet J Rare Dis. 2006 Sep 15;1:36. Review. PubMed PMID: 16978405; PubMed Central PMCID: PMC1586011. Khera M, Broderick GA, Carson CC 3rd, Dobs AS, Faraday MM, Goldstein I, Hakim LS, Hellstrom WJ, Kacker R, Köhler TS, Mills JN, Miner M, Sadeghi-Nejad H, Seftel AD, Sharlip ID, Winters SJ, Burnett AL. Adult-Onset Hypogonadism. Mayo Clin Proc. 2016 Jul;91(7):908-26. doi: 10.1016/j.mayocp.2016.04.022. Epub 2016 Jun 21.Review. PubMed PMID: 27343020. Basaria S. Male hypogonadism. Lancet. 2014 Apr 5;383(9924):1250-63. doi: 10.1016/S0140-6736(13)61126-5. Epub 2013 Oct 10. Review. PubMed PMID: 24119423. Difference in imaging of throid via brain mri versus thyroid mri? patients. Curr Probl Cancer. 2018 Nov 16. pii: S0147-0272(18)30281-2. doi: 10.1016/j.currproblcancer.2018.09.001. [Epub ahead of print] PubMed PMID: 30482399. Damek DM. Cerebral edema, altered mental status, seizures, acute stroke, leptomeningeal metastases, and paraneoplastic syndrome. Emerg Med Clin North Am. 2009 May;27(2):209-29. doi: 10.1016/j.emc.2009.02.003. Review. PubMed PMID: 19447307. Marciano S, Díaz JM, Dirchwolf M, Gadano A. Spontaneous bacterial peritonitis in patients with cirrhosis: incidence, outcomes, and treatment strategies. Hepat Med. 2019 Jan 14;11:13-22. doi: 10.2147/HMER.S164250. eCollection 2019. Review. PubMed PMID: 30666172; PubMed Central PMCID: PMC6336019. Lapinsky SE. Endotracheal intubation in the ICU. Crit Care. 2015 Jun 17;19:258. doi: 10.1186/s13054-015-0964-z. PubMed PMID: 26082175; PubMed Central PMCID: PMC4470089. Griesdale DE, Henderson WR, Green RS. Airway management in critically ill patients. Lung. 2011 Jun;189(3):181-92. doi: 10.1007/s00408-011-9278-3. Epub 2011 Jan 28. Review. PubMed PMID: 21274550. Hess DR. Noninvasive ventilation for acute respiratory failure. Respir Care. 2013 Jun;58(6):950-72. doi: 10.4187/respcare.02319. Review. PubMed PMID: 23709194. Scala R, Pisani L. Noninvasive ventilation in acute respiratory failure: which recipe for success? Eur Respir Rev. 2018 Jul 11;27(149). pii: 180029. doi: 10.1183/16000617.0029-2018. Print 2018 Sep 30. Review. PubMed PMID: 29997247. Rochwerg B, Brochard L, Elliott MW, Hess D, Hill NS, Nava S, Navalesi P, Members Of The Steering Committee, Antonelli M, Brozek J, Conti G, Ferrer M, Guntupalli K, Jaber S, Keenan S, Mancebo J, Mehta S, Raoof S Members Of The Task Force. Official ERS/ATS clinical practice guidelines: noninvasive ventilation for acute respiratory failure. Eur Respir J. 2017 Aug 31;50(2). pii: 1602426. doi: 10.1183/13993003.02426-2016. Print 2017 Aug. Review. PubMed PMID: 28860265. Epidemiology, etiology, and management of ischemic stroke in young adults. Ekker MS, Boot EM, Singhal AB, Tan KS, Debette S, Tuladhar AM, de Leeuw FE. Epidemiology, aetiology, and management of ischaemic stroke in young adults. Lancet Neurol. 2018 Sep;17(9):790-801. doi: 10.1016/S1474-4422(18)30233-3. Review. PubMed PMID: 30129475. Farazmand P, Woolley PD, Kinghorn GR. Mollaret's meningitis and herpes simplex virus type 2 infections. Int J STD AIDS. 2011 Jun;22(6):306-7. doi: 10.1258/ijsa.2010.010405. PubMed PMID: 21680663. Durante C, Grani G, Lamartina L, Filetti S, Mandel SJ, Cooper DS. The Diagnosis and Management of Thyroid Nodules: A Review. JAMA. 2018 Mar 6;319(9):914-924. doi: 10.1001/jama.2018.0898. Review. Erratum in: JAMA. 2018 Apr 17;319(15):1622. PubMed PMID: 29509871. Maxwell C, Sipos JA. Clinical Diagnostic Evaluation of Thyroid Nodules. Endocrinol Metab Clin North Am. 2019 Mar;48(1):61-84. doi: 10.1016/j.ecl.2018.11.001. Review. PubMed PMID: 30717911. LeFevre ML; U.S. Preventive Services Task Force. Screening for hepatitis B virus infection in nonpregnant adolescents and adults: U.S. Preventive Services Task Force recommendation statement. Ann Intern Med. 2014 Jul 1;161(1):58-66. doi: 10.7326/M14-1018. PubMed PMID: 24863637. Tang LSY, Covert E, Wilson E, Kottilil S. Chronic Hepatitis B Infection: A Review. JAMA. 2018 May 1;319(17):1802-1813. doi: 10.1001/jama.2018.3795. Review. Erratum in: JAMA. 2018 Sep 18;320(11):1202. PubMed PMID: 29715359. Trépo C, Chan HL, Lok A. Hepatitis B virus infection. Lancet. 2014 Dec 6;384(9959):2053-63. doi: 10.1016/S0140 6736(14)60220-8. Epub 2014 Jun 18. Review. PubMed PMID: 24954675. Bakaeen FG, Rosengart TK, Carabello BA. Aortic Stenosis. Ann Intern Med. 2017 Jan 3;166(1):ITC1-ITC16. doi: 10.7326/AITC201701030. Review. PubMed PMID: 28030676. Milin AC, Vorobiof G, Aksoy O, Ardehali R. Insights into aortic sclerosis and its relationship with coronary artery disease. J Am Heart Assoc. 2014 Sep 5;3(5):e001111. doi: 10.1161/JAHA.114.001111. Review. PubMed PMID: 25193296; PubMed Central PMCID: PMC4323780. Ropp A, Waite S, Reede D, Patel J. Did I miss that: subtle and commonly missed findings on chest radiographs. Curr Probl Diagn Radiol. 2015 May-Jun;44(3):277-89. doi: 10.1067/j.cpradiol.2014.09.003. Epub 2014 Oct 30. Review. PubMed PMID: 25445879. Kelly B. The chest radiograph. Ulster Med J. 2012 Sep;81(3):143-8. Review. PubMed PMID: 23620614; PubMed Central PMCID: PMC3632825. Beaudoin S, Gonzalez AV. Evaluation of the patient with pleural effusion. CMAJ. 2018 Mar 12;190(10):E291-E295. doi: 10.1503/cmaj.170420. Review. PubMed PMID: 29530870; PubMed Central PMCID: PMC5849448. Fisk M, Branley H. Pleural effusion. Br J Hosp Med (Lond). 2013 Apr;74(4):C50-4. Review. PubMed PMID: 23571314. Madhok DY, Vitt JR, Nguyen AT. Overview of Neurovascular Physiology. Curr Neurol Neurosci Rep. 2018 Oct 23;18(12):99. doi: 10.1007/s11910-018-0905-8. Review. PubMed PMID: 30353426. Dayan RR, Peleg R. Herpes zoster - typical and atypical presentations. Postgrad Med. 2017 Aug;129(6):567-571. doi: 10.1080/00325481.2017.1335574. Epub 2017 Jun 5. Review. PubMed PMID: 28540752. Bystritsky R, Chambers H. Cellulitis and Soft Tissue Infections. Ann Intern Med. 2018 Feb 6;168(3):ITC17-ITC32. doi: 10.7326/AITC201802060. Review. PubMed PMID: 29404597. Ergonul O, Egeli D, Kahyaoglu B, Bahar M, Etienne M, Bleck T. An unexpected tetanus case. Lancet Infect Dis. 2016 Jun;16(6):746-752. doi: 10.1016/S1473-3099(16)00075-X. Review. PubMed PMID: 27301930. Wang RZ, Vashistha V, Kaur S, Houchens NW. Serotonin syndrome: Preventing, recognizing, and treating it. Cleve Clin J Med. 2016 Nov;83(11):810-817. doi: 10.3949/ccjm.83a.15129. Review. PubMed PMID: 27824534.